We are always happy to welcome new members, regardless of their current experience level. Many don't take the first step of joining a choir because they assume that an ability to read music or previous experience are prerequisites. Our approach is designed explicitly for those with no prior musical training or experience. Sheet music is provided, but the key learning support is practice music on CD or computer file to work with whilst learning each piece. To find out for yourself, come along to one of our Wednesday rehearsal evenings at Ewell United Reformed Church Hall (London Road Ewell KT17 2BE) at 7.45 for 8.00pm. 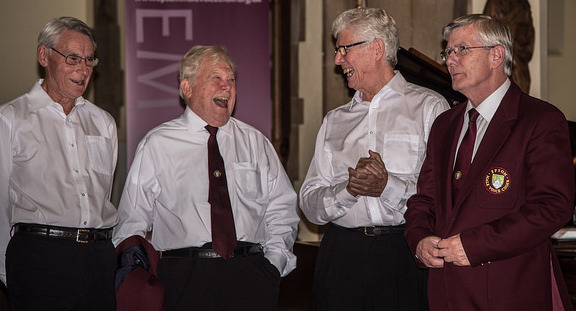 If you call our secretary, Clive Long, beforehand on 020 8644 0963 or email him on secretary@epsommalevoicechoir.org.uk he will make sure that you are expected and that a set of music is available for you. Rehearsals are friendly and mutually supportive occasions. Whilst we take pride in our performances, we join the choir also for its social and community side. We have an active social calendar with something to suit all members and their partners. 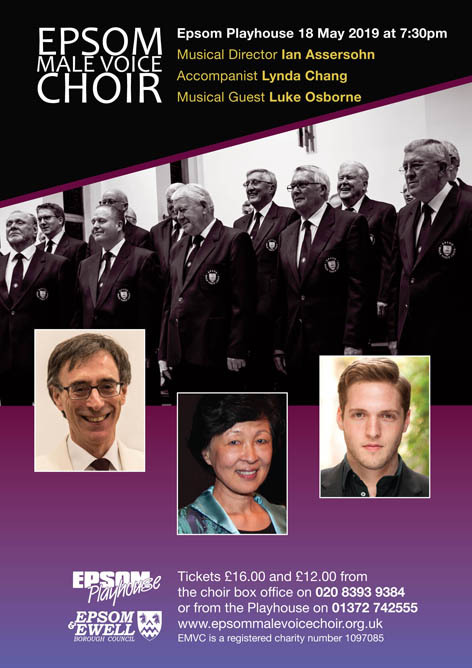 The aim is to develop close friendships to bond the choir together. 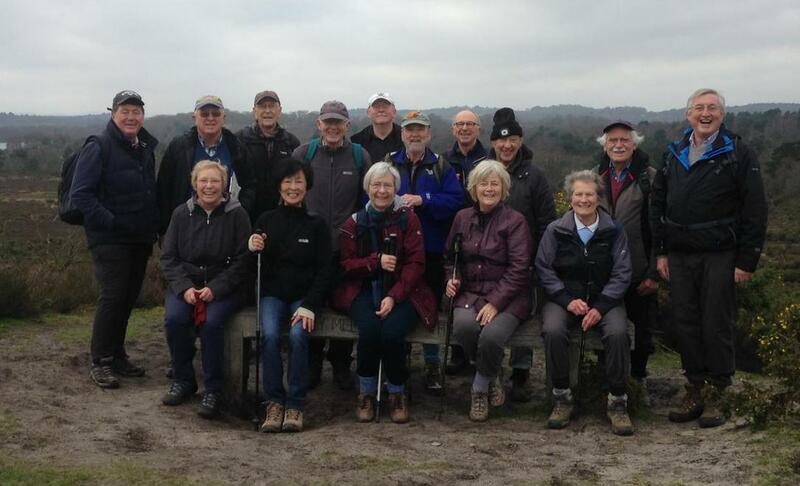 Activities include bowls, golf, monthly rambles, Chairman's Garden Party and an annual dinner/dance. Some members meet at a local pub after rehearsals where they can often be heard bursting into song. 'Whether you sing in the bath, with your children or on the football terraces, singing is fun. Thousands of us are joining choirs to give us more opportunities to get that sense of enjoyment. 'But singing in a choir is more than just a bit of fun. It's been scientifically proven that it is good for your health: from getting more oxygen into the blood, to increasing the flow of feel-good hormones and improving mental health. 'There are lots of other benefits when it comes to joining a choir: there is the social side, the chance to make new friends and meet others who have an interest in music. 'It can also be a real bonding experience. A recent study found that after just one singing class, people felt closer to each other than those taking part in other classes'.